Kenneth Rexroth was born on December 22, 1905 in South Bend, Indiana. He was integral to the emergence of the Beat poets, but did not consider himself a member of this younger group himself. Rexroth had already led his own earlier cultural movement, a much publicized "poetry renaissance" in San Francisco, which helped to promote the idea of the Northern California city as a culturally 'happening' place. By the time Allen Ginsberg arrived at Rexroth's doorstep in 1953 with a letter of introduction from William Carlos Williams, the San Francisco Poetry Renaissance was already an established idea. Among the diverse poets who gravitated to this scene were several younger and fresher upstarts, like Gary Snyder, Michael McClure and Philip Whalen. In October 1955 Rexroth lent his name and reputation to a loose poetry reading featuring this younger crowd. The reading at the Six Gallery caused a literary sensation and introduced the idea of the Beat Generation to the world. According to some biographical material, Rexroth later grew slightly irritated as the Beats began to reach immense fame, often offending his sensitive poetic ideals with their crazy hijinks. But this is typical old-guard vs. new-guard stuff. Rexroth was an important poet in his own scene, and deserves our eternal appreciation for having invented the idea of San Francisco as a center of literary innovation. Kenneth Rexroth died on June 6, 1982 in Montecito, California. 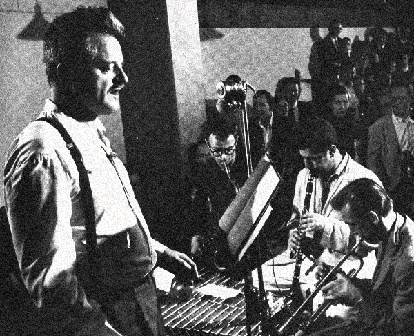 An extensive site devoted to Kenneth Rexroth can be found at the Bureau of Public Secrets. No Responses to "Kenneth Rexroth"